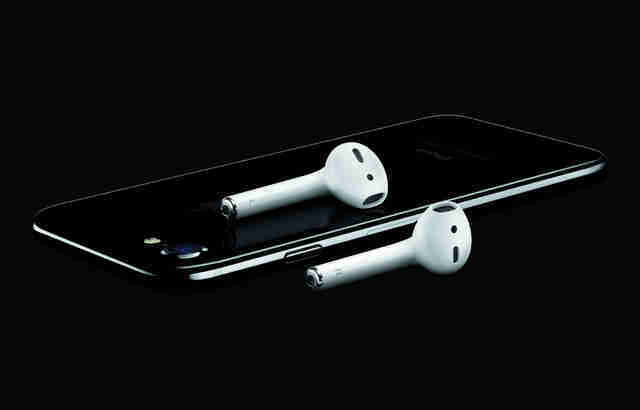 Apple finally pulled back the curtain on the iPhone 7, the latest offering in its tick-tock phone release schedule. But is it worth upgrading from your 6 or 6S, or should you hold out another year with what you've got? Should you keep your old corded headphones, or start saving up for those fancy shmancy wireless "AirPods"? Here's the full rundown of everything Apple just delivered. As you've likely heard by now, the iPhone 7 Plus's dual-lens camera setup is a game-changer, giving you the power to take higher quality zoomed-in photos, shift an image's focus after you've taken it, and take much better pictures at night and in low lighting. The single-lensed 7's 12-megapixel camera is a big step up, too. It's equipped with a fresh new image stabilization feature to compensate for your shaky hands, and a True Tone flash that's not only twice as bright as the the 6S's, but has a sensor that detects flickering in surrounding lights and compensates for them. For you selfie fiends, you'll also be happy to know that the quality of the front-facing camera in both the 7 and 7 Plus has been seriously improved, going from five to seven megapixels. Although Apple is already selling backup battery cases for the 7, the 7 will still last longer than any other iPhone before it. It will give you two hours more life than the 6S. Unfortunately, we didn't get the wireless charging set-up that we heard whispers about. Maybe next time, guys. Unlike previous versions, the iPhone 7's Home button isn't actually mechanical -- it no longer clicks or pushes down at all. Instead, it's now simply force sensitive, and will work in tandem with the phone's "Taptic Engine" to deliver special vibrations and buzzes to the user's finger in order to signal different kinds of alerts. While you can't swim or dive 50 meters deep with it like you can with the new Apple Watch Series 2, the iPhone 7 is considerably more splash, water, and dust resistant that its predecessors, and can survive in a meter of water for up to 30 minutes unharmed. You shouldn't have any trouble hearing your speakerphone calls or YouTube vids on the 7. It's packed with a stereo speaker setup, with one at the bottom and one at the top. This won't just improve how you hear audio as it's playing, but also means it's capable of double the output volume level from the 6S. Which also means your subway commute is about to get much more terrible. 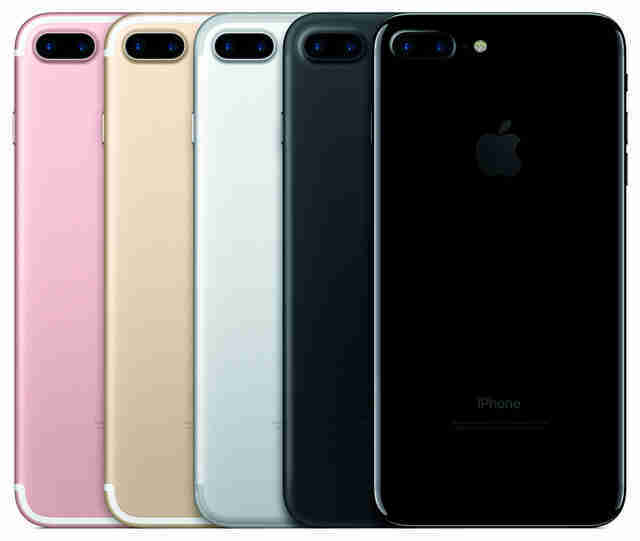 The iPhone 7 and 7 Plus are equipped with an A10 Fusion chip, which will make it twice as fast as the 6S, and a whopping 128 times faster than the first edition iPhone. Additionally, Apple is finally doing away with the insultingly storage-insufficient 16GB iPhone model entirely, and making 32GB the base. Yes, you can connect your old-school headphones via the weird dongle that Apple is including in every iPhone 7 box, but otherwise the traditional analog headphone jack as we know it is dead and gone. 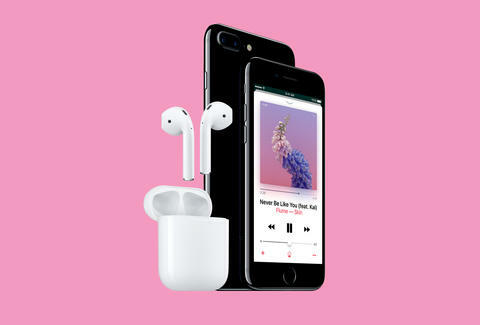 Instead, you'll need to plug in a pair of Lightning port-connecting 'phones, or graduate to (and pony up $159 for) their brand spankin' new wireless AirPods. They look like your old, corded earbuds with their wires cut off, and conveniently connect automatically to any device running iOS 10 (as well as your Apple Watch and MacBook). You'll have to recharge them every five hours or so in a special charging case, and keep a close eye on 'em at all times, because as cool as they may be, you will inevitably misplace them. There are two more new colors! Yay! 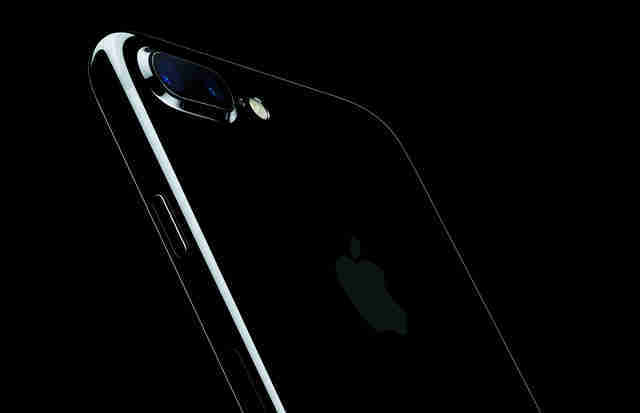 Forget rose gold, the hot new color for the 7 is... black! Or rather, fancy-as-hell-and-also-totally-basic jet black. They've also ditched boring space grey for a slick matte black option. If you're not into either of those, you've also got a gold, rose gold, and silver option. Joe McGauley is a senior writer for Thrillist. He prefers his Apple Keynotes under 120 seconds.